The LTS Marine all-electric wake boat is all the speed and fun of a market-leading tow boat, without the fumes or harm to the environment. 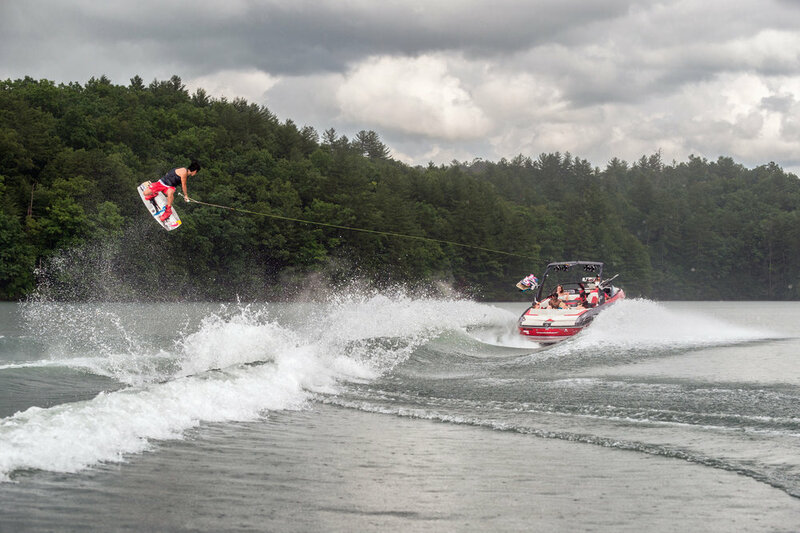 The potential exhibited by LTS’ groundbreaking system translates to exceptional power for all your watersports needs, while a four hour activity time gives you plenty of battery to play with. Three models are available; a water ski, sport wake and ski-wake hybrid. These vessels have already proven popular in North America, and they're now available throughout Europe and the South Pacific, distributed by JP Green. View the models below, and click the pictures to download their brochures. The adrenaline of slalom, without the noise. The best of both worlds - a perfect slalom wave and ballasts for a monstrous wave.